For most people, the car still dominates as the transportation mode of choice in Forsyth County and the Triad. 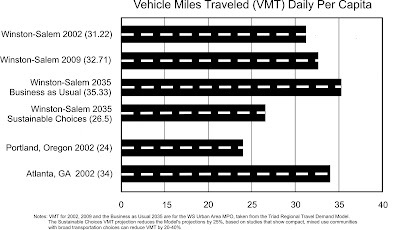 The time citizens spend in the car and the number of miles driven continues to rise at a rate higher than the population growth rate. While local transit ridership has increased, it is more likely due to higher gas prices than a change in our development patterns.